A deposit of £10/ pair and £20/ team for number bibs. NO exceptions! Sponsored by WebsterHart LLP www.websterhart.com Riders: Must be Pony Club members. 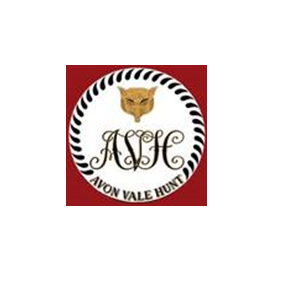 Fences will not exceed 2'9"
This event is being organised by Avon Vale Hunt. Equine Bookings is acting as the booking agent for this event, enabling you to book online, for which you will be charged a booking fee per space which will be added to your cart. The Radbourne Family at Abbottswood Farm offer a professional and friendly livery, hireling service and cross country course hire. With over 40 years experience, a high standard of care is provided with excellent facilities. MFHA TEAM CHASE RULES APPLY for Classes 2, 4, 5 and 6. These may be viewed on www.teamchasing.co.uk and in the Secretary’s tent on the day. Some of these rules are mentioned below, along with the Avon Vale Hunt Rules. HORSES may not compete twice in a class. Horses may not run in two Team Chase Classes. For TEAM CHASE CLASSES (2,4,5 & 6) each TEAM is to consist of a maximum of FOUR HORSES AND RIDERS and at least three must complete the course to finish. Team members are started together. First horse starts the clock and the time of the third horse to finish, will be the finishing time for the team. In the event of a tie the fourth horse to finish will decide. from the speed declared, over the course for each Class. A slower time away from the OT will be placed higher than a faster time away from the OT. COURSE LENGTHS and NUMBER OF FENCES, stated in the schedule, are approximate. FENCE HEIGHTS refer to the maximum height of fixed rails. In ALL CLASSES competitors must JUMP every fence on their course only, in order, and pass between all designated flags. PENALTIES in TEAM CHASE CLASSES (2,4,5 & 6) will be scored as follows: REFUSALS will not be penalised, but a competitor who has more than three refusals at any one fence, or five in total, will be eliminated and must leave the course. The team will be disqualified for abuse of this rule by any individual member. A single FALL OF ANY RIDER will not be penalised. Three horses must be within the PEN at one time or a 20 second time PENALTY will be awarded. When a HORSE FALLS during any class, it is immediately eliminated and may not continue on the course. A horse is considered to have fallen when at the same time its shoulder and quarters have touched either the ground or the obstacle and the ground, or when it is trapped in a fence in such a way that it is unable to proceed without assistance or is liable to injure itself. This does not prevent horses which stumble or refuse, thus unseating the rider, from being re-mounted to continue. In all classes, after TWO FALLS BY A RIDER, which are not horse falls, the competitor is immediately eliminated and must retire. Team members, officials, or attendants are permitted in any class to retrieve and return a loose horse to its rider; they may ASSIST a rider to RE-MOUNT at his request, as long as it is safe to do so and no injury has been sustained. Each Team will be given a STARTING TIME. Any team missing its correct time may be fitted in at the end of the Class, if possible. Each Team / Competitor must report to the COLLECTING RING Steward 10 minutes before their actual starting time. All competitors will be given NUMBER BIBS. Team Captains shall be responsible for the collection and the return of these. Competitors are asked to ride in the correct colour and to notify the Secretary of any team changes. There will be a deposit required for team numbers of £5 for each number. Competitors may exercise their horses beforehand only in the area provided, which includes a PRACTICE jump. It is compulsory for all competitors and grooms to wear crash helmets to current recognised Safety Standards at all times when mounted at any Team Chase course. Such hats must not have a fixed peak. Such hats will be identified by a BTC, BE, BRC, or Pony Club approved Hat Tag. I.e. Hats must meet one of the following standards: British All PAS015, BSEN1384 or European EN1384 provided they are BSI kite marked or SEI. American All SEI ASTM 95, ASTM F1163:2004, SNELL E2001. Australian and New Zealand All AS/NZS 3838 2003 Competitors are strongly recommended to check their hats regularly and to replace them if damaged or following a fall. All those mounted at a BTC event (including grooms and helpers) must wear a hard hat complying with the above standard. All competitors must also wear a British Equestrian Trade Association (BETA) approved and appropriately labelled Level 3 body protector manufactured in the year 2002 or after. A body protector of this nature is also required when competitors are wearing air jackets of any make. Competitors are strongly recommended to check their body protectors on a regular basis and replace them if damaged or following a fall and are advised that the body protector should impede neither flexibility nor balance. All horses being ridden at an event, including riding in exercise areas, must be ridden in a bridle with reins directly attached to a bit or leather ‘D’ rings or attached as per the manufacturer’s specification to a purpose designed bitless bridle (such as a mechanical or jumping hackamore, Dr Cook, Sidepull or Scawbrig). The ORGANISERS RESERVE THE RIGHTS to: Withhold or amend any prize or cancel any class because of insufficient entries; Alter the advertised times; Refuse any entry with or without stating reasons; Alter the course or leave out any obstacle before or during the competition; Split a class if there is significant change in course; Eliminate any competitor not adhering to the rules; Eliminate any horse they consider to be exhausted; Eliminate any competitor for excessive use of the whip. No refund of entry fees will be made if the event is POSTPONNED due to bad weather or any other unforeseen circumstances; team chase entry fees will be carried forward to the next date the team or individual is able to compete, but within 13 months of the event. In the event of ABANDONMENT, after the start of the event, refunds of 30% of Entry Fees may be offered on receipt of a SSAE from individual competitors to the Secretary. If the event is CANCELLED, 75% of entry fees will be returned. AVH Team Prizes – at least 3 team members must be AVH Subscribers or hunt members. A £2.00 booking fee will be added to all entries.